Join us for our 14th season in 2019! 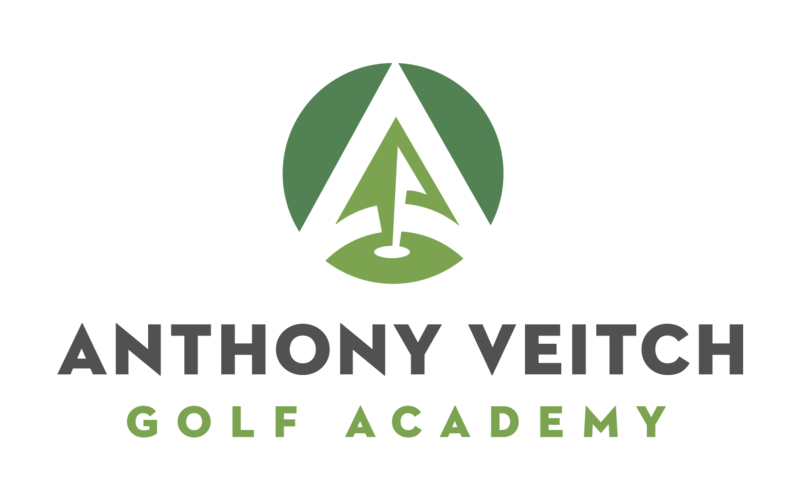 The Anthony Veitch Golf Academy is proud to present our 14th season offering junior golf camps. These half or full day camps are a great way to introduce kids to the game of golf in a pressure free and fun environment. Your child will receive professional instruction covering all golf fundamentals in group and individual settings. Small student to instructor ratio's ensure a strong emphasis is placed on one on one instruction in an effort to meet the specific needs of all individual students. Every effort is made to create a safe, comfortable environment for students of all ages and skill levels. The half day camp has proven to be a favorite among parents looking to introduce kids to golf or build on prior experience. This 3 hour a day, 5 day camp is typically a morning offering (9am- Noon) and covers all things golf. Over the 15 hours students will learn all necessary golf fundamentals, including an introduction to rules and standard golf etiquette. Approximately 8 hours will be spent on the driving range with unlimited range balls, 4 hours on the putting and chipping greens and 3 hours on the course putting practice into play. Bottled water and snacks are provided daily; lunch is provided on the 9 hole mini-tournament play day. No experience or equipment is required and a best effort is made to provide a custom fit club for each student to keep. This 6 hour per day camp was created by request from parents of kids who previously enjoyed the half day camp but wanted more! Small student/instructor ratios help take more experienced junior golfers to the next level. An average day in this camp consists of about 3 hours of instruction and practice time across all aspects of the game. 30 minutes is reserved for lunch (bring or buy) at the clubhouse followed by 9 holes of fully supervised golf. These 9 hole playing lessons not only focus on improving the golfers ability but also drill down on rules, proper scoring, etiquette and sportsmanship. Bottled water and snacks are provided daily; lunch is provided on the last day of camp. Prior golf experience is required, students must be capable of walking 9 holes. The recommended starting age for the junior camps is 8. The junior camps are "golf only" and therefore a 3 hour golf day may prove taxing for younger children. Please feel free to discuss the suitability of these camps for your child if you have any concerns. In an effort to accommodate parent requests to have siblings participate in camps together the weeks are not broken down based on age. Students are, however, grouped based on age within each week to ensure a comfortable environment for all students. In the event of rain or poor weather indoor activities are arranged including: mini-putt course, rules/etiquette lessons and custom club building. Parental input has been a driving factor in the growth and success of the junior camps. I welcome your comments and questions and I am happy to explore any ideas you may have to further your child's enjoyment in the junior camps. Registration requirements: Child's name, age, best emergency contact number, allergies or special requirements. To register email anthony@anthonyveitchgolf.com or call the Colonnade pro shop during golf season(613 542-4779).